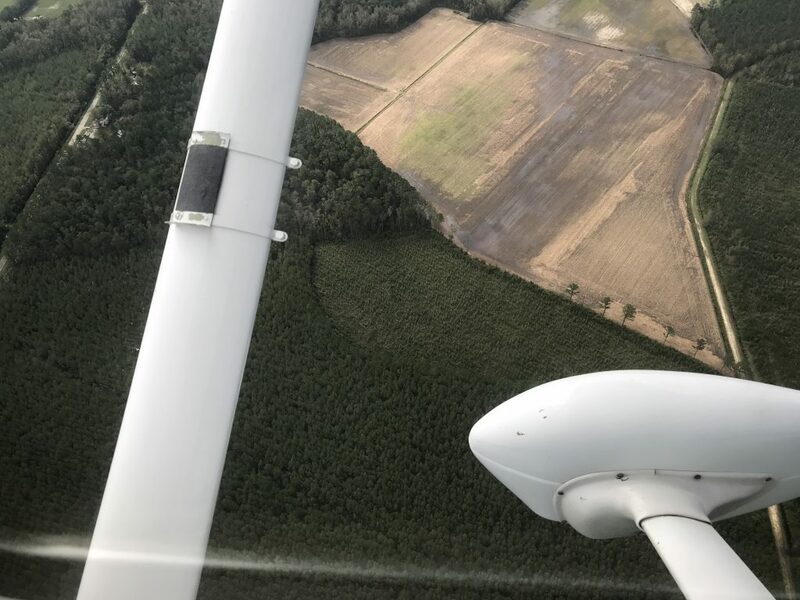 Aerial view of a young stand of pine trees that was wiped out during Hurricane Florence. Photo courtesy of info.ncagr.gov. RALEIGH – Woodland owners in 52 counties impacted by Hurricane Florence (see list of eligible counties at the bottom of the page) and recognized as federally-declared disaster areas can now apply for cost-share funding for reforestation efforts. The North Carolina General Assembly approved $2.5 million in time-limited funding for reforestation efforts that will be administered by the N.C. Department of Agriculture and Consumer Services and the N.C. Forest Service. To learn more about the Florence Reforestation Fund, landowners should call their local county ranger’s office. Click here to find contacts for county offices of the NC Forest Service. Eligible counties: Alamance, Allegheny, Anson, Ashe, Beaufort, Bertie, Bladen, Brunswick, Cabarrus, Carteret, Chatham, Columbus, Craven, Cumberland, Dare, Davidson, Duplin, Durham, Granville, Greene, Guilford, Harnett, Hoke, Hyde, Johnston, Jones, Lee, Lenoir, Madison, McDowell, Montgomery, Moore, New Hanover, Onslow, Orange, Pamlico, Pender, Person, Pitt, Polk, Randolph, Richmond, Robeson, Rowan, Sampson, Scotland, Stanly, Tyrell, Union, Wayne, Wilson, and Yancey.